NEW ONGOING SERIES FROM DARK CIRCLE! 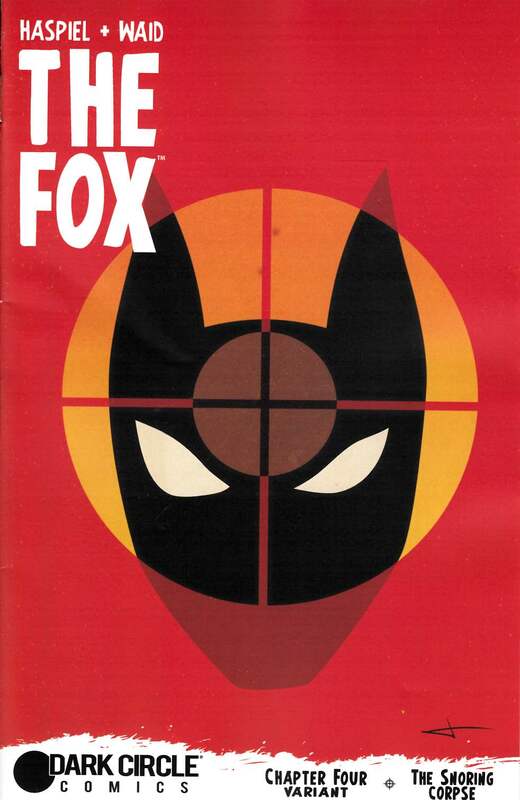 "Fox Hunt, Part 4": The FOX has been punched, thrown, stabbed, crushed, shot at and smothered by a virtual army of super villains-but nothing is stopping Paul Patton, Jr. from finding his son! But that was just for starters-get ready for intense action and psychedelic paranoia as The Fox straddles the line between reality and a world of NIGHTMARE! Who is behind all of this madness? Will Fox's son, the Ghost Fox, make it out of the city alive? Find out as the hunt continues! Featuring cover art from Dean Haspiel, Irvin Rodriguez, Dirk Shearer and Jay Shaw!